SAFRP purchased 4 tons of grass to plant at Munsieville. All the children had to pay on was sand and because it is an old landfill, broken glass and tin protruding from the soil injured the little ones. 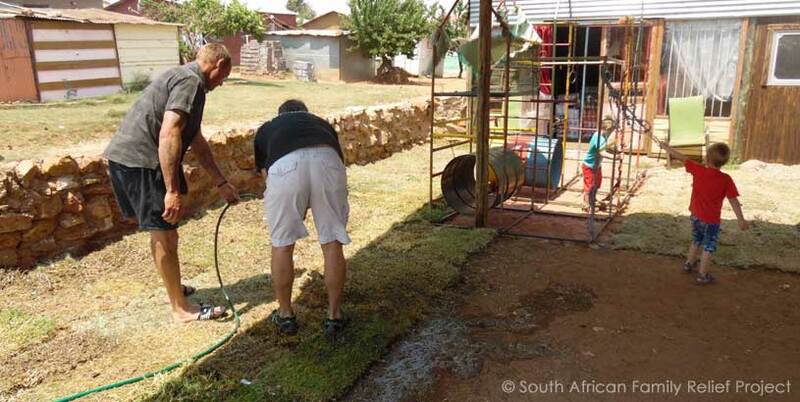 Our team went out and everyone gave their time to plant and water the grass. Even the children started helping, they prepared the soil and pushed the wheel barrows to be filled. This warmed out hearts to see the children so excited to have a patch of grass. We thank all our amazing donors who made this possible.